caesar salads are on of my favorite appetizers to order when we go out to eat. the first thing i ask when ordering, if it is homemade, because you can taste the difference. my family loves this salad! if you are not a fan of raw egg, add 2 tablespoons of mayo instead. a great way to use leftover chicken. in a small bowl, combine bread cubes, onion powder, garlic powder, salt/pepper to taste and olive oil. toss well and pour onto a cookie sheet lined with aluminum foil in a single layer. bake for about 10 minutes or until golden. 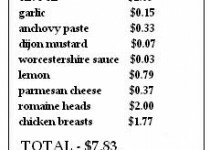 for the dressing, place the egg yolk, garlic, anchovy paste, dijon mustard, worcheshire sauce, lemon juice, salt/pepper to taste into a food processor. process until smooth. with the food processor running, slowly pour the olive oil through the feed tube until thick. stir in the grated parmesan cheese. 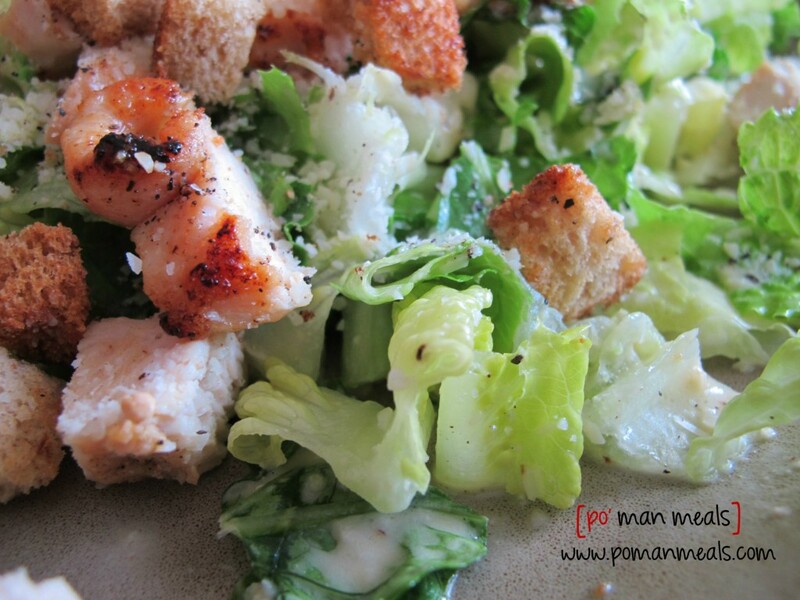 add the romaine lettuce to a large salad bowl or individual plates. toss the lettuce with enough dressing to moisten. top with cooked chicken and croutons. garnish with a sprinkle of grated parmesan cheese on top.